Choosing and matching colors can be nerve-wracking, which explains why there are sooo many white houses – inside and out! Jean at All The Walls offers Color Consulting Vancouver WA and helps you choose the best colors for your project, personality, lifestyle, and professional image. The right color matched with an expert painter makes all the difference! Contemplating a total redesign or just a splash of color? Have a dilemma or need a second opinion? Jean Santee has particular expertise in color theory and consulting, including color-matching to achieve the effect you desire. She evaluates architectural features and focuses on visual impact. 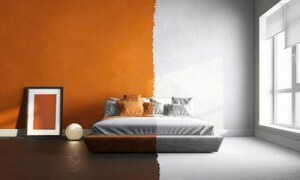 Color is personal and it can dramatically change your environment. It is also one of the easiest and least expensive ways to accomplish your unique vision. Why is color important to you? What makes you feel good? For your enjoyment – to feel wonderful! Express your personality and style! is available without painting services. A color consultation is available without painting for a reasonable fee within approximately 35 miles of Vancouver. The fee is $75 for up to 3 rooms or for one exterior. Additional rooms or buildings are $35 each. You will receive color samples, an easy-to-follow map of where the colors will be used, and suggested finishes. A modest travel charge may be assessed beyond 35 miles. A color consultation is included with a signed painting contract. Colors have character and personality.
. . . and yours!